A girl can only have so many 'things.' Why not inspire your daughter with a gift that will provide her with tools to guide her through the tough times and empower her for a lifetime - the priceless gift of self-esteem and self-love. A subscription to BYOU will help your daughter learn it is okay to be herself and connect with others like her...because every girl deserves healthy self-esteem! 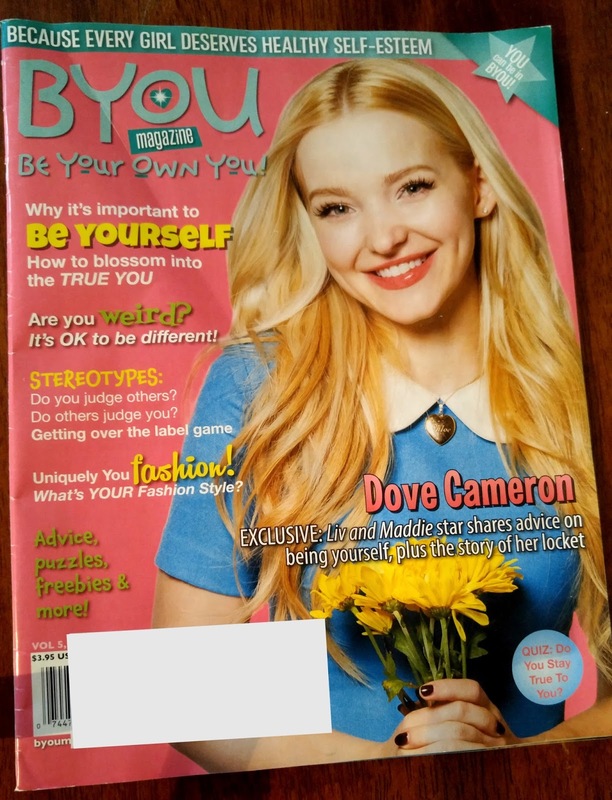 Parents, educators, counselors, and girls themselves love the fun and empowering content in BYOU Magazine. Every print subscription (valued at $17.97) also includes a free digital subscription for mobile devices too! Contests, Games, Giveaways, and much more! BYOU Mag offers so much for girls. It features helpful and encouraging self-esteem advice; lots of uplifting messaging that lets them know it’s OK to B-YOU. It even has tips from positive real-girl and celebrity role models. 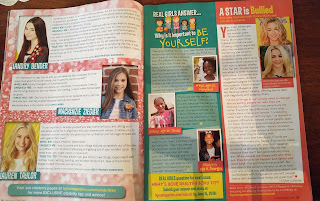 In this month's issue girls can read about bullying and see who real life people reacted and handled it. This magazine is so empowering for our girls. It is full of inspiration! Unlike other magazines on the market that teach girls to flirt, apply make-up, etc. this magazine empowers our youth! BYOU is a self-esteem magazine for girls 7-14 empowering confidence, inner beauty, anti-bullying, making a difference, being authentic, & positive thinking. Helps girls see the good in themselves, and that differences are what makes you...you!